The fine, said to be the world's largest for corruption, is part of a plea-dealing agreement by the JBS controller, J&F. SÃO PAULO, BRAZIL – J&F in Brazil, controller of meatpacking giant JBS, will pay R$10.3 billion as part of an agreement with the country’s federal prosecutors’ office (MPF) for its participation in the Lava Jato corruption scandal. According to prosecutors this is the largest fine to be paid for corruption in the world. Meatpacking giant, JBS, is at the center of the world’s largest plea-bargaining agreement say Brazilian prosecutors, photo internet reproduction. The agreement calls for the holding company to pay in the next 25 years R$8 billion in cash and the remaining to be paid through the financing of social programs. “The rest of the fine, R$2.3 billion, will be paid through social projects, especially in the areas of education, health and prevention of corruption,” read the statement released by the MPF on Tuesday. The payments will start to be made in December of 2017, and values will be corrected by the official IPCA inflation index. According to prosecutors the final amount at the end of these 25 years may reach R$20 billion. The total fine, according to analysts, represents 5.62 percent of the holding’s revenues after taxes in 2016. In absolute terms, the amount represents more than the combined fines be paid by Odebrecht (R$3.28 billion), Brasken (R$3.1 billion), Andrade Gutierrez (R$1 billion) and Camargo Corrêa (R$700 million), companies also accused in the Lava Jato investigations. Unlike other agreements made in the corruption case, fines paid by J&F, will be paid in Brazil. 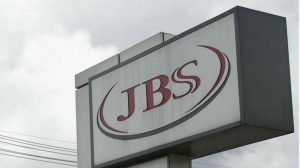 JBS is being investigated in several corruption cases, all part of the Lava Jato graft scandal which has shaken up Brazil’s government in the past three years. The meatpacking giant has been accused of bribing high-level politicians and executives to obtain benefits in the Brazilian Congress and in the country’s government funded development bank, BNDES.